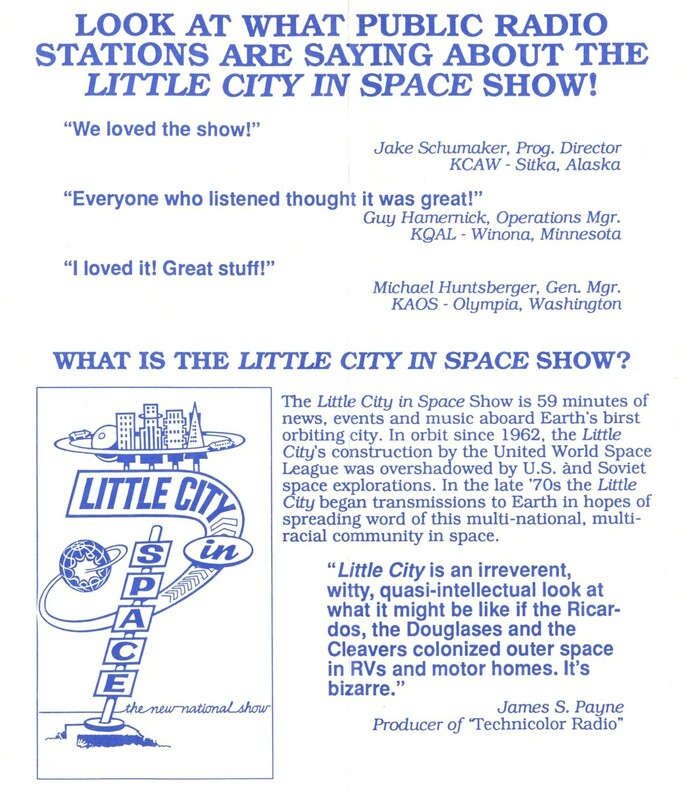 Sound Affects, showcase of radio theater, will feature the second episode from national syndication of Little City in Space, Sunday evening December 29, 9:30 p.m. CST. Listen live via KFAI, or later in archive here. In 1989, The Post-Void Radio Theater created promotional materials to entice radio stations to air the 13-week syndicated series. Thanks to Jerry Stearns, host of Sound Affects, for once-a-month reprise from LCS’ national program. 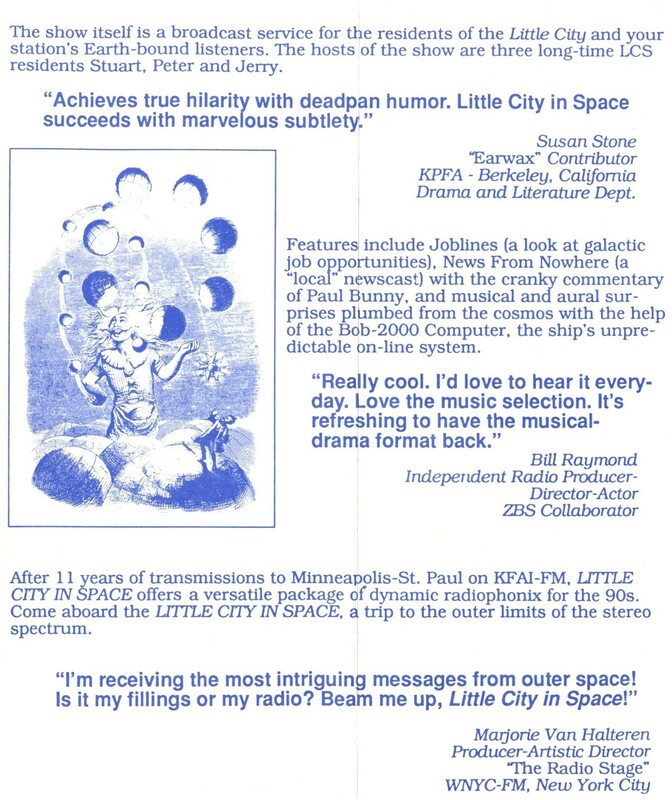 Little City in Space observes 35 years history dating back to the very first broadcast on KFAI December 17, 1978!